I speak my intentions in the silence of my heart. to take the present affair which I commend to you under your special protection. the throne of Jesus, so that He may bring it to a happy issue. and all the saints, praising and blessing Him for all eternity. 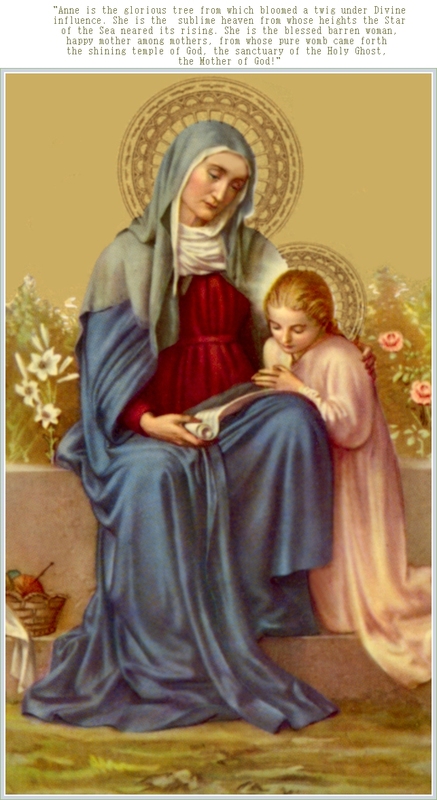 Pray for us, St. Anne. that we may be made worthy of the promises of Christ. the blessings of eternal life. Who lives and reigns the world without end.